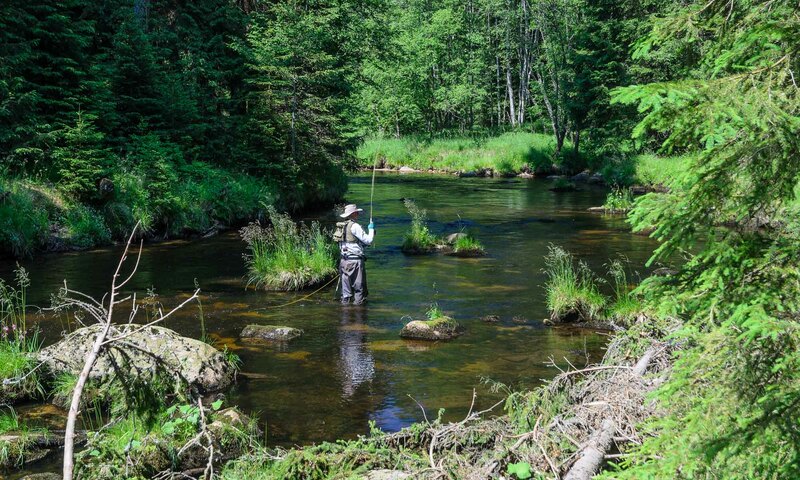 Pat Stevens fly fishing with his friend Bill Beddows from the United Kingdom, Otava River, September 2014. Bill with his son David run fly fishing company Fly Tek Fly Fishing Ltd, the company founded by Pat Stevens. Bill and Pat come to fish Otava, Tepla Vltava and Vltava below Lipno lake every year.